Ocean Oasis‘ expansive sun deck is ideal for relaxing between surf sessions, watching the tropical scenery float past or enjoying a cool drink in the evening. For the ultimate indulgence, try a soak in the open-air jacuzzi then slip into the sauna – the perfect way to unwind and ease your muscles after some serious surfing. The on-board chef and galley staff prepare a sumptuous buffet for every meal, featuring fresh seafood, Asian specialities and European favourites – enough for the heartiest appetite. Dine in comfort in the spacious, air conditioned dining room, appointed and furnished to quality restaurant standards. Guest accommodation on Ocean Oasis comprises 11 cabins. The eight standard cabins are available with your choice of king-sized or twin beds. All cabins are air-conditioned and have their own private bathroom with shower, hand basin and WC. Even more luxurious, the Ocean Oasis Panorama Suite and two Panorama Deluxe Cabins feature picture windows for magnificent views of the ever-changing tropical island scenery. Private bathrooms are fitted with shower, bath, hand basin and WC. 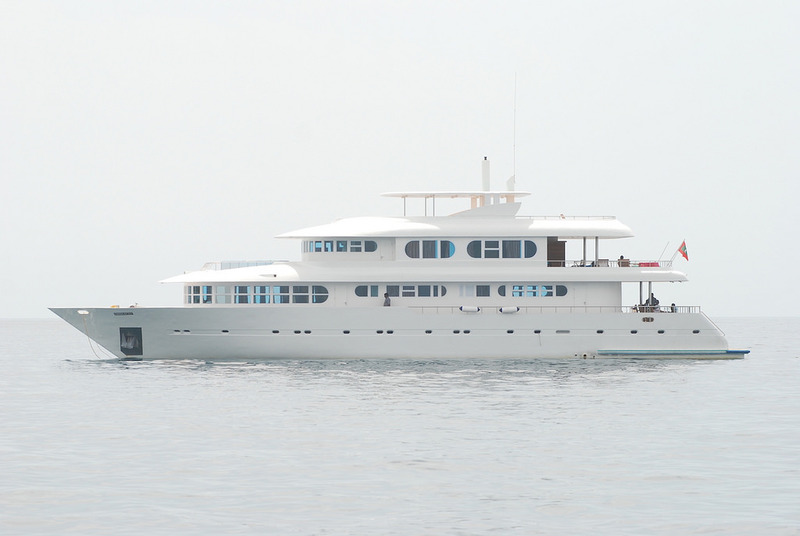 Ocean Oasis is a modern, 35-metre, glass fibre motor yacht powered by twin 360hp marine deisel engines. On Inner & Central Atolls surf trips, Ocean Oasisis accompanied by two tender boats -a 5.5 metre dinghy with 40hp outboard motor; and a 19 metre motorised dhoni. The tender boats provide optimum access to the surf breaks, and enable groups of surfers to try different waves.